Love this picture! 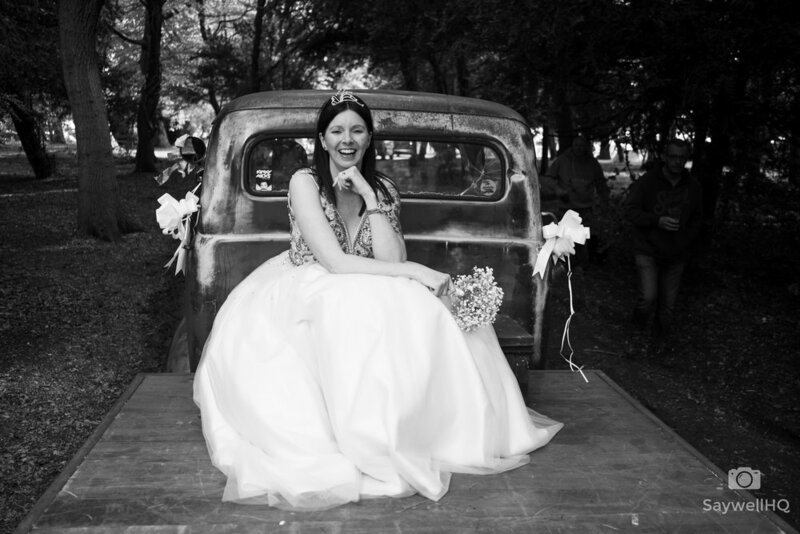 It was taken on the back of a low loader at the wedding of Caroline and Matt. The guys got married at a lovely small church within the grounds of Kelham Hall close to Newark here in Nottingham. They decided on the date as it was the same day as the annual VW festival also held within the grounds of Kelham Hall. Both Caroline and Matt are massive VW fans; so it made perfect sense to get married at the small church and then enjoy the rest of the VW festival. This image was taken using the Fuji XT2 and the 23mm F2 lens and its the first time I have ever had to balance on a moving truck to get a picture – but I did and what a picture!! To see more from the wedding of Caroline and Matt please click on the link below!